Fortune has knocked twice for a very lucky Worthing couple. A lucky couple have each won a draw prize in the new Veterans Raffle, promoted by YES Society. The raffle supports a selection of specialist UK Armed Forces and Emergency Services charities that are desperately in need of additional funding. The Veterans Raffle is the only UK lottery to apportion 95% of total lottery proceeds to charity & prizes combined. So why did you choose to also support the Veterans Raffle? 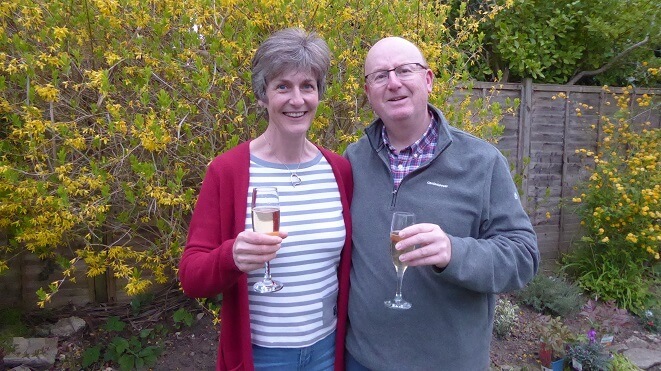 The jackpot winning odds of the Veterans Raffle are a clear winner in the UK and to win any of their draw prizes starting from an impressive £100 are also very favourable odds, as Mark and Catherine will confirm. Whilst the opportunity of winning a prize is the basic foundation for joining a lottery such as the Veterans Raffle, it’s second to the importance of helping to raise invaluable funds for our UK specialist Armed Forces and Emergency Services veterans charities, and especially those that never receive any government funding and due to being a lot less known than the big forces charities such as the Royal British Legion, Help For Heroes and Combat Stress etc., they simply don’t receive enough of the funding pot so generously donated to by the amazing British public.